The Baltimore Ravens have announced their preseason schedule for 2018. The Ravens will play the LA Rams, Washington Redskins, Indianapolis Professional Football Team, and Miami Dolphins. The Ravens will play the Rams and Redskins at home. Remember the Ravens will also play the Chicago Bears in the Hall of Fame game. Here is the Ravens press release. 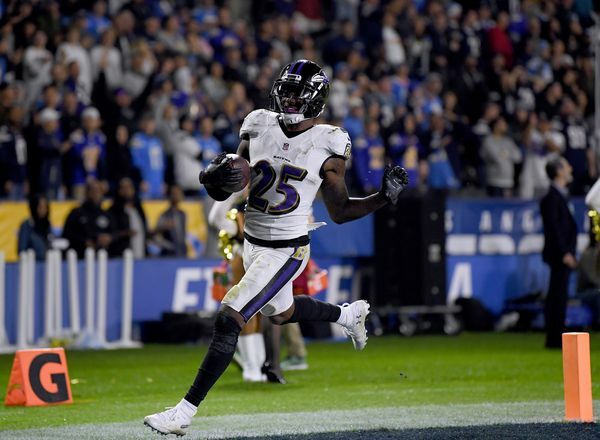 The Baltimore Ravens announced their preseason schedule Wednesday, and for the first time will appear in five preseasons games, including the season-opening NFL Hall of Fame game vs. the Chicago Bears. Of the Ravens’ five-game slate, the final three preseason contests will be played in a span of 11 days. The schedule features home games against the Los Angeles Rams and Washington Redskins, and road contests at the Indianapolis Colts and Miami Dolphins. Two Ravens’ games (Bears and Colts) will appear in front of a nationally-televised audience. The Ravens open the 2018 campaign at Tom Benson Hall of Fame Stadium in Canton, Ohio, where they will face Chicago on Thursday, Aug. 2 (NBC). This marks Baltimore’s first appearance in the Hall of Fame game and just its second-ever preseason meeting with Chicago (last, 1998). Baltimore then hosts Los Angeles at M&T Bank Stadium in Week 1 of preseason play on Thursday, Aug. 9. The Rams lead the all-time preseason series, 4-0. The Ravens return to the road for a Monday Night Football showdown with Indianapolis in Week 2 (Aug. 20, ESPN) at Lucas Oil Stadium. Baltimore owns a 1-0 preseason series edge over the Colts. The Ravens then travel to Miami for a game in Week 3, with the exact date still to be determined. This contest marks the Ravens’ second-consecutive preseason trip to South Florida after defeating the Dolphins, 31-7, last year at Hard Rock Stadium. Baltimore closes out its preseason schedule on Thursday, Aug. 30 at home against the Redskins. The Ravens host their neighbors to the south for the second-straight year and lead the all-time preseason series with Washington, 7-3. For the first time since 2008, Baltimore concludes its preseason schedule at M&T Bank Stadium. The Ravens are 55-32 all time in preseason play and have posted an 8-0 record over the past two seasons. Under head coach John Harbaugh (2008-17), Baltimore has compiled a 28-12 record during the preseason. *Exact date in Week 3 has not been determined. Note: Times for the Ravens’ preseason games will be set at a later date.